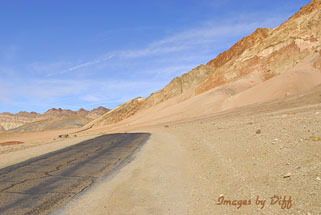 click photo to enlarge We have been through Death Valley a number of times now. Each time we usually stop to see a few places. This trip was over the New Years holiday. It turns out this is one of the busiest times of the year in the valley. 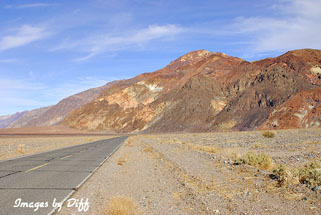 Luckily Death Valley is also one of the largest National Parks so it was not very crowded. It is 140 miles long. Death Valley got it's name when a group of pioneers were lost here in the winter of 1849-1850. Only one of the group died here but as they were climbing out over the Panamint Mountains one of the group turned and said good bye Death Valley and the name stuck. 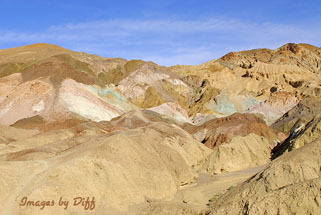 click photo to enlarge The area to the left is called Artists Palette due to all the colors on the rock. It is on a scenic loop drive. 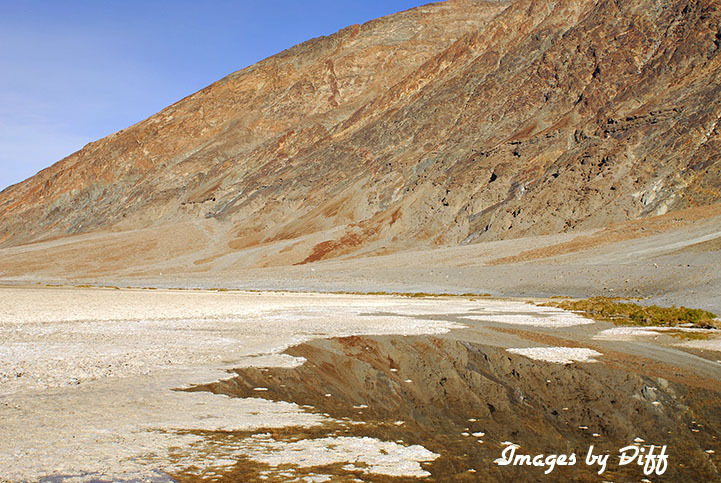 The hottest temperature ever recorded in the valley was in July of 1913 when the mercury hit 134 degrees. We have been there when it was 118 and it is pretty warm. Borax was mined in Death Valley and the twenty mule teams were used to haul the borax out of the valley to Mojave. 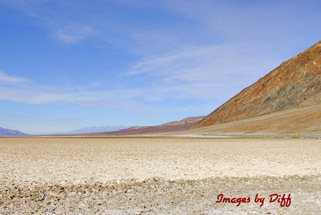 click photo to enlarge The pictures at the bottom are at Bad Water, the lowest point in the park and in the United States at 282 feet below sea level. 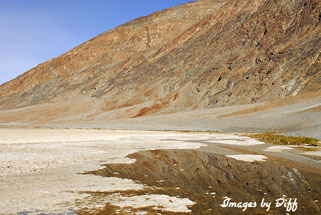 During heavy rains, which are infrequent a lake actually forms here.